Without a sense of well-being we start to lose our flow and can experience negative emotions such as anxiety and stress. What can we do to maintain our sense of well-being? Well, there are a variety of methods we can apply to create and maintain a sense of well-being. 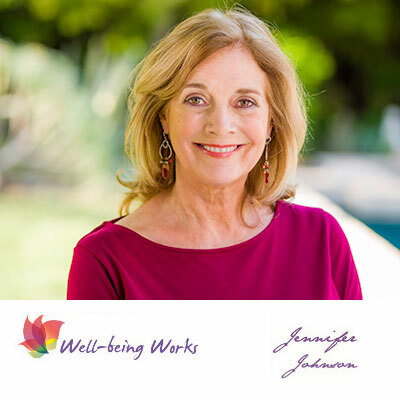 I am running a Well-being workshop “How to create and maintain a sense of Well-being” on October 26th. There will also be a taster Laughter Yoga session. Take advantage of the early bird offer! Contact me for details of 20% discount! Do you ever feel that there are just not enough hours in the day? Sometimes it may appear as though all around us there are demands for our attention. If we start to lose our flow, we may experience feelings of stress and/or overwhelm. My next workshop is about how to change those feelings and reclaim a sense of well-being. Friday 6th and Tuesday 10th July. Time: 9:15am - 1.15pm. Contact me to find out about the early bird offer of a 20% discount. New November Workshop - "Create your best Future"
Did that feeling give you a great sense of well-being? Maybe you took steps toward that dream, only to find it remained elusive and just out of reach? Incomplete dreams can lead to feelings of loss or failure which interfere with our well-being. Ever wondered how great results are gained in sales driven jobs, slimming clubs, training AND people following their dreams? Find out how and much more at my November workshop, "Create your best Future"
COMING SOON "The Power of Positive Thinking" Workshop. Learn empowering strategies to help you get the results you really want for 2017 and beyond. Medical research has been telling us for some time now that prolonged stress can have a negative impact on our health. By reducing our stress levels we empower ourselves to take action for positive change. You will learn how our thoughts create our emotions and our emotions create our behaviour. I will share great strategies for- creating and maintaining -positive change.